MTV choice well the first video it aired on the nascent station in 1981. It was The Buggles “Video Killed the Radio Star.” Catchy 80s song no doubt, but it was also prescient since music videos and MTV largely destroyed home grown local DJ-inspired radio stations. Later A.M. talk radio was a sanctuary for personalities to express their opinions on a gamut of issues, from politics and sports to natural remedies. Now talk radio is dying with the advent of podcasts. So in this dawning of a new era, let’s discuss the Best Naturopathic & Clean Eating Podcasts. 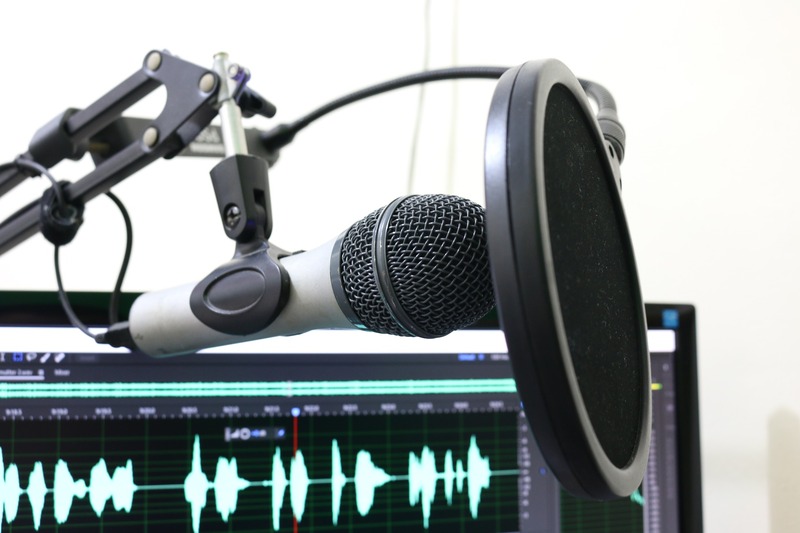 Podcasting has revolutionized the talk radio industry by allowing flexibility (you can listen whenever you want) and expansion of topics and personalities to boot. In short, anyone can start a podcast (a la me) to talk about anything! So I thought it would be wise to give you the 8 best naturopathic and clean eating podcasts you should be subscribing to right now. As the 80s catchy Saturday morning cartoon series “School House Rock” used to remind us, “Knowledge is Power!” This of course may be applied to pursuing a healthy lifestyle through proper nutrition, biohacking, avoiding toxins, and other sound naturopathic tendencies as well. The more you learn about naturopathy the more equipped you will be to combat the toxins and trickery which befall us daily. So let’s begin the 8 best naturopathic & clean eating podcasts you should be subscribing to right now! I will break them up into clean eating nutrition and overall naturopathy. Excluded from this list will be podcasts that deal solely with exercise, crossfit, etc since 75% of body optimization and weight maintenance deal with what you put in your body, not participating in “chronic cardio” or inflammatory-causing marathons. Also, only current podcast will be included so you can get up-to-date information on these topics. A little bias. I’m certified through them. 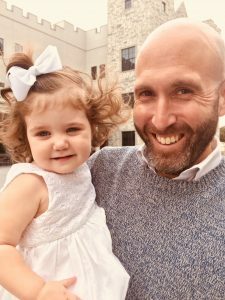 Marc Sisson, the quasi-leader of the Paleo community, has a preeminent podcast which mixes short 10 minute podcasts dealing with current topics he has covered on his blog, Mark’s Daily Apple, to interviews of people in the paleo/primal industry. The pod also covers biohacking, fasting, and ketogenic principles. A must-have on your subscription list for anyone interested in clean eating…even if you are not paleo. Learn about the basics of the Paleo Diet. Learn about the basics of Paleo Exercise. Perhaps best known for his very ketogenic, Bulletproof Coffee and assorted products, Dave Asprey’s podcast is the perfect pod for those who want more of the science side of biohacking, clean eating, and ketogenic principles. It is easy to get lost in the nerdy leanings of the pod, but Dave keeps his interviews with experts very approachable for all people, no matter your background. He talks about his own history with mold and his impressive weight loss which personalizes the pod quite a bit. RHR radio is definitely for the clean eating wonks in all of us. 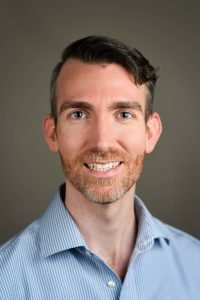 More nerdy and likely to get immersed in the minutia of nutritional science than Bulletproof, Chris Kresser is very well-respected in the alternative health industry for dispelling common nutritional myths and supporting newfound theories on fasting, mind/body biohacking, keto, among others, with science-based stats. He can be a little drier than the others, but his information is nonpareil. 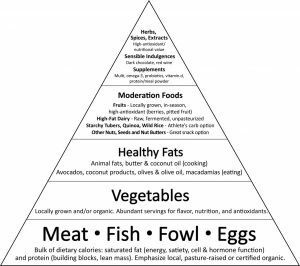 A food pyramid more Paleo-aligned. The greatest thing about Robb Wolf‘s podcast is that he comes off very authentic and approachable. You can tell he is a nice guy, and it has paid off for him since his pod has ranked in the Top 25 in Health/Wellness category for years. Like the others he interviews people involved in the mind/body biohacking and clean eating (in particular paleo). For those who crave a more femi-centric discussion, these are the girls for you! Diane Sanfilippo is a best-selling author of 21-Day Sugar Detox and Practical Paleo. Balanced Bites is a great site and podcast for Paleo recipes, clean eating, and great advice on cosmetics and other topics perhaps a little more relatable to the females in the crowd. Diane and Liz have a great rapport and are very fun and easy to listen to. 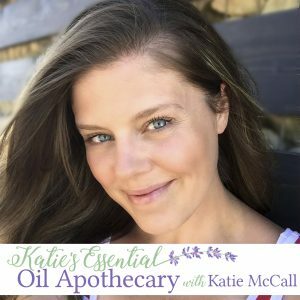 A phenomenal listen for those aromatherapist aficionados, Samantha Lee Wright interviews the most profound and amiable essential oil experts in the field. 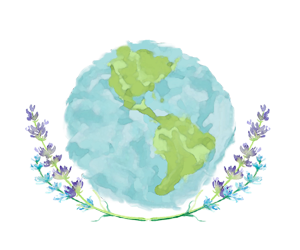 At times, she highlights particular essential oils or her guests and she discuss overall issues dealing with the science and practical aspects of aromatherapy. Great DIY advice and fun! Note: she promotes Young Living essential oil products though the podcast per se is not affiliated with the company. The go-to podcast for herbalism, the husband-and-wife team of Marc Richter and Mindy Hall discuss the myriad usages of various herbs in a dynamic yet delightfully-informative manner. 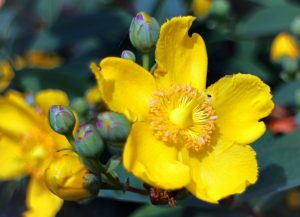 Join them as they discuss foraging, nature walks, balancing work and life, and all things herbs. By the time you exhaust their catalog you’ll be an old-fashioned apothecary. Ashley James’ podcast is phenomenal for many reasons. For me, I love the breadth of topics she covers with the various guests she has, many of which are naturopathic doctors. Also, she publishes content prodigiously with three episodes a week. She comes across knowledgeably & empathetically. A must-have on your podcast directory. It makes sense to end this list with the inestimable “Dr. 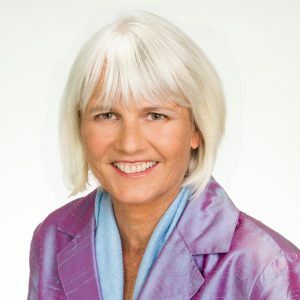 Lo” since she is the sole Doctor of Naturopathy (N.D.) on this list of the 8 best naturopathic and clean eating podcasts. Personally, I have been listening to her since her first episode. 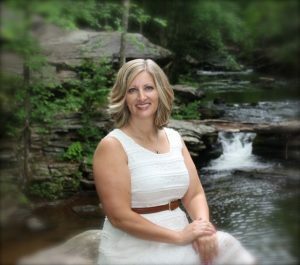 She is extremely personable and seamlessly blends her own history of past medical maladies with sound naturopathic principles. Similar to Balanced Bites, she skews a tad to the ladies in the audience since many of her topics deal with female health as well as a large majority of your guests are women. But men, don’t let this dissuade you, Dr. Lo is the perfect vehicle of delivering sound naturopathic medical advice. If you favorite wasn’t listed in this Best Naturopathic & Clean Eating Podcasts article please don’t be offended if your favorite podcast was not included, especially you, vegetarians. This is by no means an exhaustive list….more of a primer to get you on the journey. And an unbiased list. (In full disclosure I have not been remunerated or been told to include these pods for any benefit of my own.) This is just my opinion. Find the Purple “Podcast” app on your phone. You might need to go to the “App Store” and search “Podcast” to find it. Once you download and open it, click on the “Search” button on the bottom-right corner. From there type in the category you are interested, and “Voila!” your world has just been expanded. Hit the “Subscribe” button for a particular pod to have the latest episode sent directly to your phone. You can find pods on any topic imaginable. Personally I think you should start with those dealing with the most important thing in your life (umm… your health) and then expand to comedy, politics, sports, gardening, et al). Enjoy! 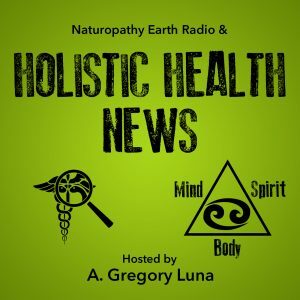 Subscribe to NPE Radio to learn more about naturopathy, weight-loss tips, medical conspiracies, and much more! 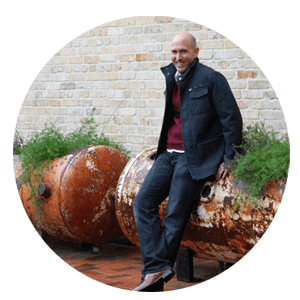 Hire me to help optimize your health! Click here for more info! 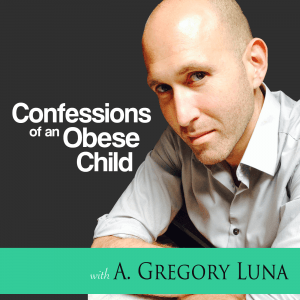 A. Gregory Luna, double-certified Health Consultant. Green is life!!! More greens for your healthy diet. Not all greens. Legumes have issues.